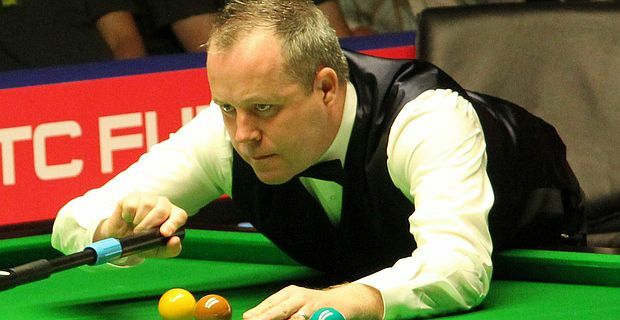 World snooker champion John Higgins crashed out of the world championship, comprehensively defeated by his fellow Scot Stephen Hendry. The 13-4 margin for Hendry tells the story of a disastrous match for Higgins. "This place can do that to you," Higgins said. "It can give you your best moments but also your worst nightmares. You watch other matches and players and think, 'How did they miss that', but when you’re out there and it’s going wrong you can see it coming." It was the complete opposite of his impressive form last year when he claimed the title. "Maybe it is a reaction to last year when I did so well but this season I have not done the right things practice-wise and I deserved nothing. I will try to rectify that and come back a more focused and better prepared player." He can learn from Hendry’s example. The seven times champion seems to have a new lease of life, although he was shocked by Higgins vulnerability. "I’m fortunate in the fact John has probably not played as badly in his life at The Crucible," Hendry said. "At times I was coming to the table in shock and not knowing what to do. It was weird. If someone had said I would beat John Higgins 13-4 I would have said they were nuts." Hendry will play another Scot, Stephen Maguire in the quarter-finals. "I love it here, there’s no better place to play snooker," he said. "To be in the quarters, one match away from again playing in the one-table situation, is amazing."